A closer look at the map, now featuring the North. 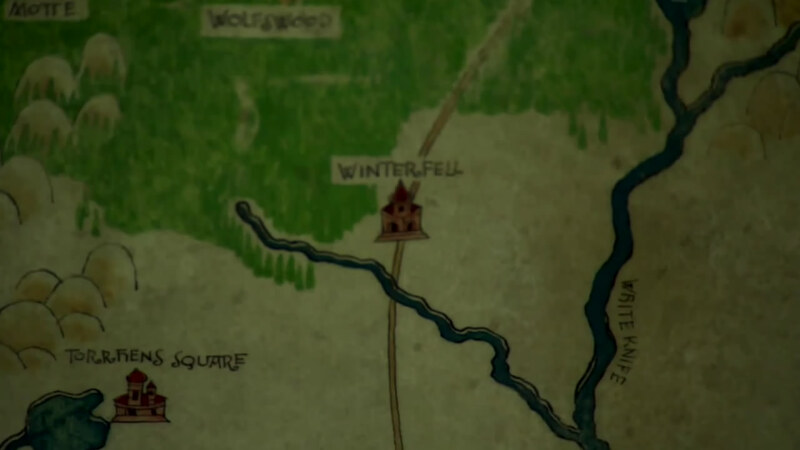 Why Winterfell’s symbol is quite so small, we’re not sure, given how Riverrun and the Twins look—probably a sign that the cartographer was a prejudiced southron! We love the fact that the wolfswood is marked, as you can just see Deepwood Motte being noted, as well as Torrhen’s Square. For more maps of Westeros, this the Citadel’s Gallery.